Informal #2 is a blend of young and old barrel aged golden ales, that was dry-hopped with East Kent Goldings. This is a great expression of our house barrel character, and the dry hopping accentuates that nicely. Draft only, 6%, released January 2019. This entry was posted in Our Beers on February 5, 2019 by etripp. Informal is a new series of one-off beers, focussed on using our barrel stock in new ways. 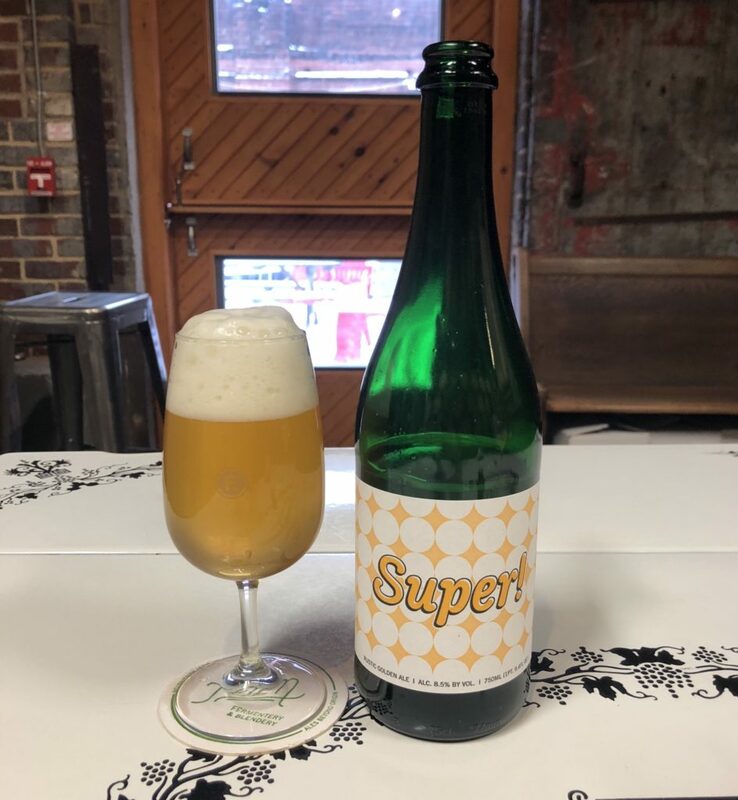 This version is a take on Saison de Coupage, the historical practice of blending old barrel aged beer into young saison to hasten it’s maturity. 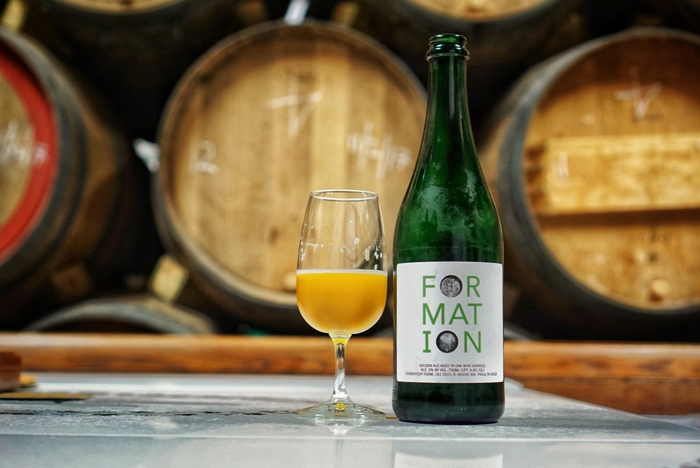 For this version we brewed a bitter 7% farmhouse ale, and blended it 80:20 with 2 year old barrel aged golden ale, we then conditioned it on second use Carménère wine grapes for a few months. 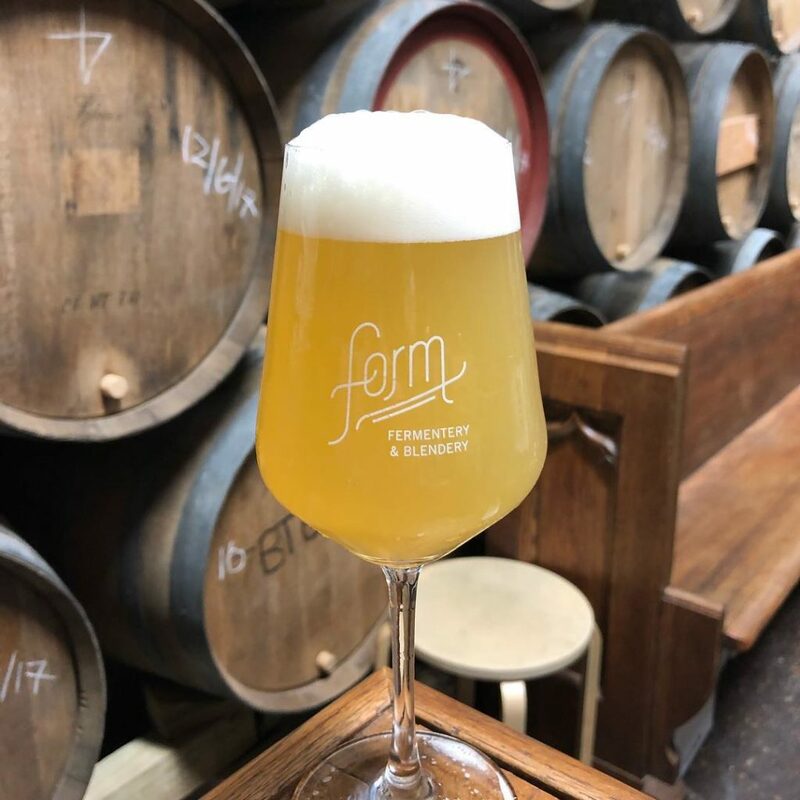 Draft, 7%, released in January 2019. Bottles coming soon. This is the second in our annual series of barrel aged beers fermented with wine grapes. This version is a blend of 5 barrels that refermented on whole Carménère wine grapes for around 3 months. 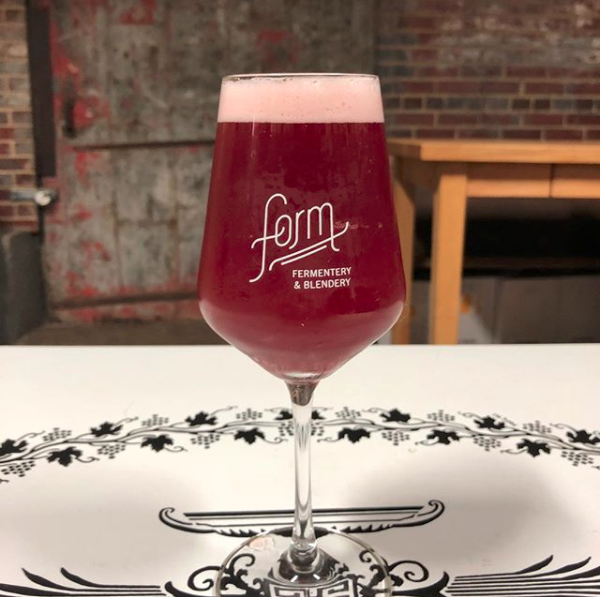 The resulting beer has a beautiful purple color, a lovely barrel aroma, and drinks like a wonderful marriage of the grape and the selected beer. 6% ABV, 750ml bottles, released in November of 2018. This entry was posted in Our Beers on November 5, 2018 by etripp. 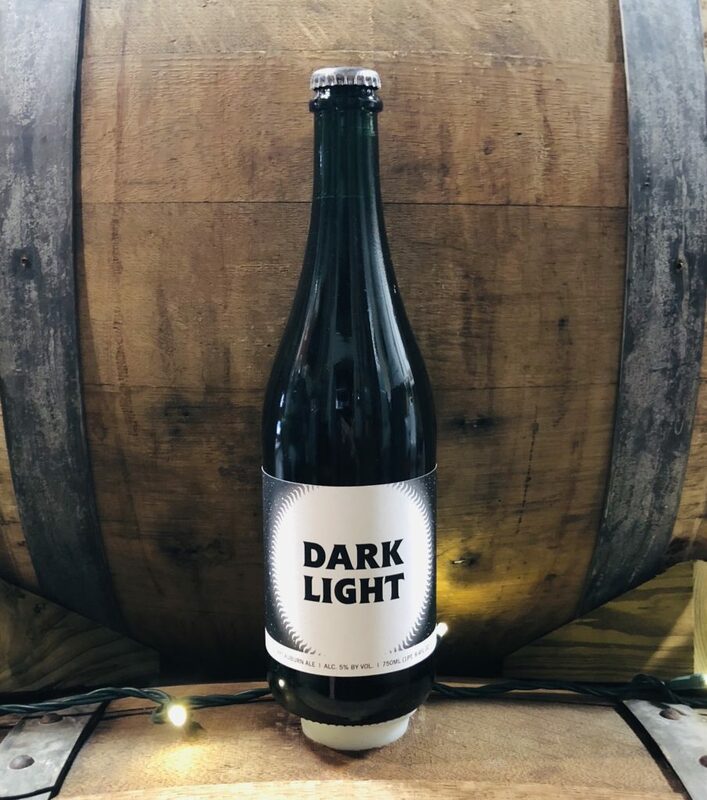 Dark Light is based on an old English porter recipe, playing off it’s historical relationship to the sour beers of Flanders in Belgium. This modern rendition boasts flavors of roasted malts, vanilla, cherry and oak, and it finishes refreshingly dry. 5%, 750ml, $15 each. Batch #1 was released in September 2018. This entry was posted in Our Beers on September 5, 2018 by etripp. 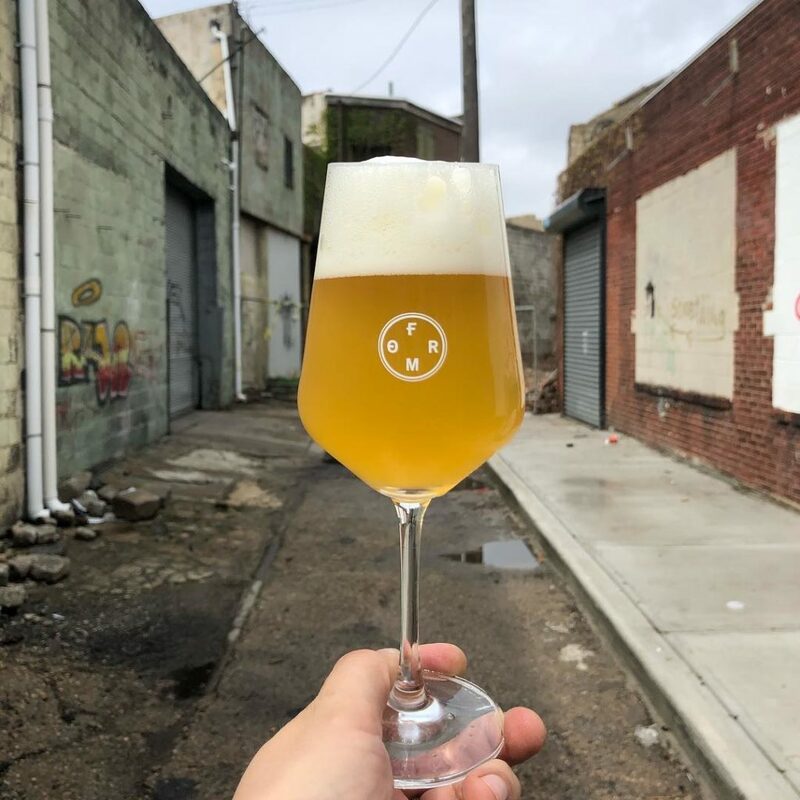 Pure Phase is a collaborative beer made with Crime & Punishment Brewing Co. We used one of our simple farmhouse ale grists, and brewed it over at C&P adding a massive dose of whirlpool hops, we then brought it over to Form, and fermented it with our house mixed culture. Toward the end of fermentation it was heavily dry-hopped with Barbe Rouge. The resulting beer is like a hazy, tart, farmhouse IPA. It tastes of spring grass, lychee, limes, melon, lemongrass, and passing on work to day drink. Draft: 5%, released in April 2018. 750ml bottles were released in June 2018. This entry was posted in Our Beers on May 3, 2018 by etripp. Gestalt is a series of dry-hopped farmhouse ales. We start with a grist similar to Form to Table, but at a slightly stronger ABV, and towards the end of fermentation, add a large amount of a select hop – whatever we’re interested in at the time. The result is a very aromatic beer, that is light and easy to drink, with a refreshing tartness, and just enough bitterness to keep you wanting another glass. 5% ABV. Super! was brewed with an eye to what Belgian tripel may have been, but we just call it a rustic golden ale, or a super saison when pressed for a style to name. What it is is a simple grist of 3 pale malts with a small amount of evaporated cane sugar. It’s medium bodied, fruity and dry, with an ester profile similar to a classic tripel. 8.5%, 750ml, $16 each. Batch #1 was released in April 2018. 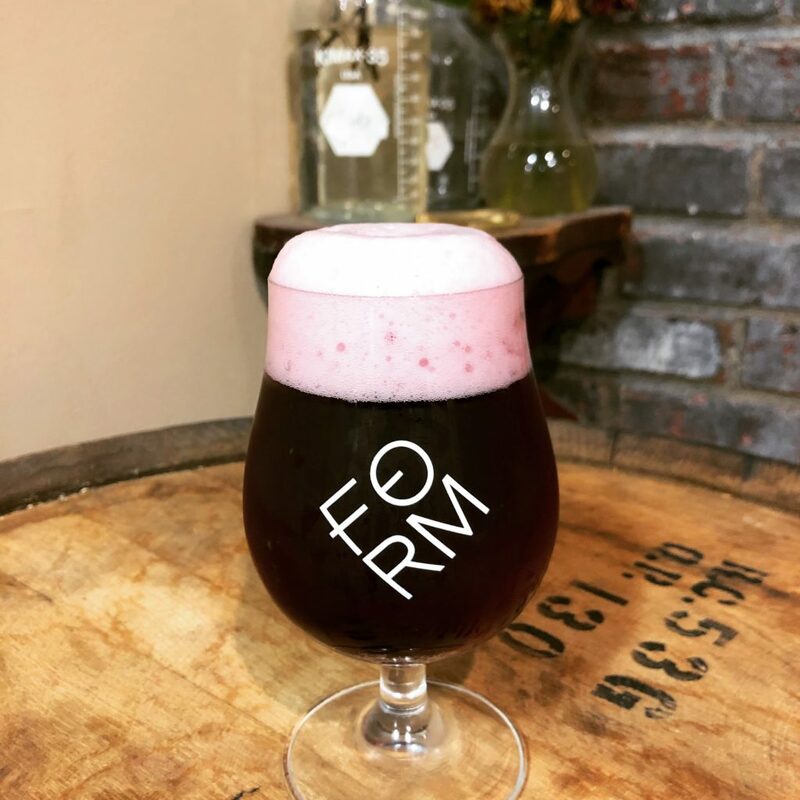 SLO-MO is our first blend of beers from our Solera, aged on cherry and blackberry purée. We selected four barrels of mild, young beer of 6-8 months old, hoping to derive most of the character from the fruit. After multiple fruit additions and maceration, we finally committed it to the bottle. This one tastes of bright, lush cherries, and raspberries, with just a touch of blackberry jam, finishing light and refreshing. 6%, 750ml, $19 each. Batch #1 was released 01/26/18. 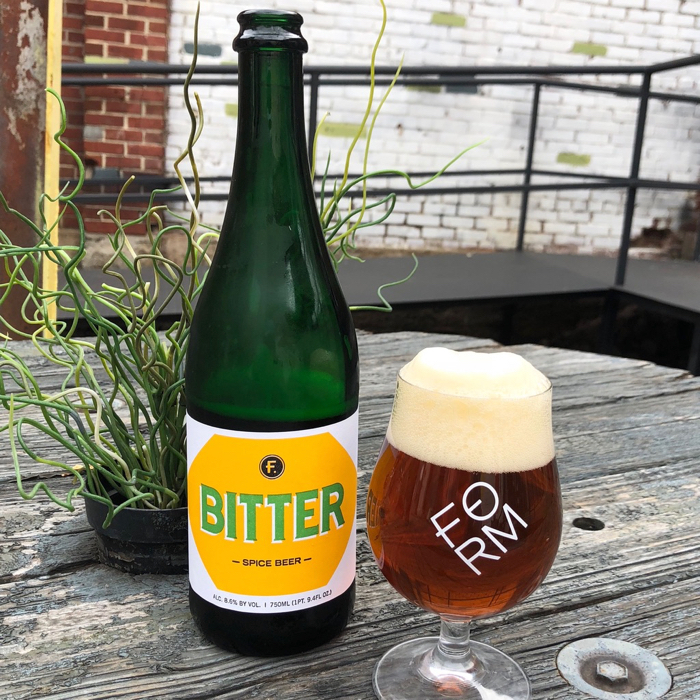 Bitter is our vermouth inspired beer, developed with Mike Landers, cocktail guru from Martha. It’s an amber-ish farmhouse ale, with Trebbiano juice, aged on Barberra must and seasoned with a bevy of botanicals. It drinks like a perfect Manhattan, but far more drinkable, with an easy balance and zippy acidity. 8.66%, 750ml, $19 each. Batch #1 was released 02/12/18.